Just a few days ago, when we were all a little bit younger and perhaps a little bit more discerning, the RompHim made its grand debut on the internet to sounds of disgust and utter confusion. In case you haven&apos;t heard, the RompHim is a romper — think a jumpsuit, but with short sleeves and shorts instead of long pants — for men. In all its pastel and patriotic glory, it&apos;s hoping to "be the start of a fashion revolution," according to its Kickstarter page. One small step for rompers, one giant leap for men&apos;s fashion, maybe. Amid this heady news, though, what many didn&apos;t realize is a romper worn by men is nothing new. No, friends, the romper on a man has quite a long, illustrious history — starting with, well, your grandfather. And you thought this had nothing to do with you. About 80 years B.R. — before RompHim — men big and small, toned and squat were going to the beach in garments that were strikingly RompHim-like. They were most commonly dark or striped; some came not with short sleeves, but with none at all. As for the fabric, all we can say is it was stretchy and probably not the easy-breezy cotton of the RompHims we know today. You can&apos;t believe it, can you? James Bond, the man who epitomized male glamour and style, was here for the RompHim? Indeed he was, and he looked damn good doing it, too. In one critical scene in the 1964 film Goldfinger, Bond, as played by Sean Connery, dressed in a baby-blue terrycloth RompHim, with a belt to define his waist and shorts even shorter than the ones on the RompHim. For years, it&apos;s been played off as "a playsuit," but let&apos;s be real: It&apos;s a motherfuckin&apos; RompHim. So, I guess this kinda started with your dad, too. Sorry about that. 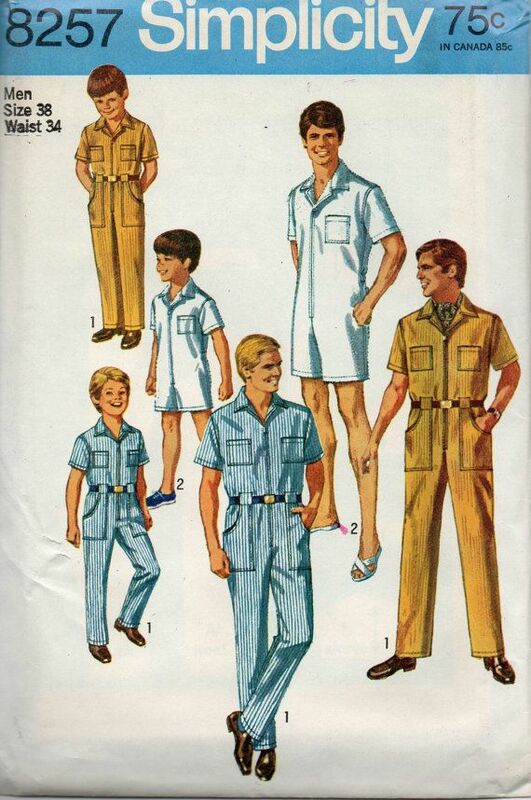 Tracked down by savvy Twitter users, it was revealed RompHims were around in the 1970s, too, but billed instead as "bodysuits." There were also some made for out-of-the-bedroom activities, which weren&apos;t half-bad. We weren&apos;t ready in 2012 for the RompHim revolution. We just weren&apos;t.
That&apos;s made clear by the fact that when fashion brand Davidelfin showed a number of one-piece outfits on male models at Madrid Fashion Week, they were billed as "onesies." Onesies. At least we dodged that one. But yes, fashion has long been a fan of men wearing one garment as both shirt and pant. 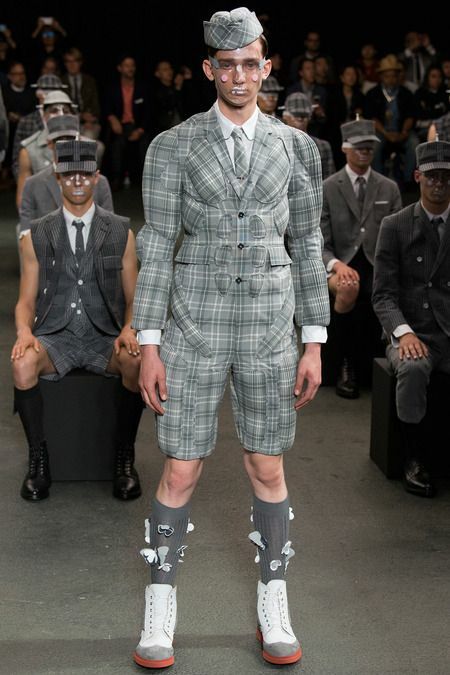 After Davidelfin, there were RompHims seen at a Thom Browne show, a Raf Simons show and a number of Japanese fashion shows. "Of course one of the most iconic men&apos;s rompers was the Bond romper," RompHim&apos;s design team said in an interview, "but we had also seen rompers featured more recently in a variety of runway shows, generally with more of a workwear aesthetic. We thought the design of the garment lended itself well to summertime fun due to its design, comfort, and expressiveness." Just a few weeks before the RompHim debuted, Cam Newton, a patron saint of inventive and fearless men&apos;s style, was seen rocking — and loving — a romper at Coachella. Did he pull it off? We&apos;ll let you be the judge. As the internet continues to reel after the RompHim&apos;s debut, remember not only did this debatably revolutionary garment actually debut nearly 100 years ago — but at one time, it really wasn&apos;t a big deal at all.